I read this article and found it very interesting, thought it might be something for you. The article is called Hemlines: Fashioning Actions from Artistry and is located at https://www.totallydublin.ie/more/fashion/hemlines-fashioning-actions-from-artistry/. With the fashion industry’s infrastructure now in a constant state of flux, the education domain has never enjoyed such demand. The creme-de-la-creme of design colleges churn out thousands of fashion graduates each June, their schooling systems under keen surveillance and scrutiny from i-D, Business of Fashion and a plethora of other publications. Long-extolled institutions such as Central Saint Martins and Parsons may still claim first-prize for their influence, fashion-capital settings and facilities. However, as the industry net has extended beyond traditional epicentres of style in favour of nascent centres like Copenhagen and Barcelona, so too have once-overlooked cities leapt up the ranks with their fresh approach to present-day fashion education (think globally-targeted, technology-driven curricula). Unlikely contenders may be having their moment but, if we shift the focus to Irish design colleges, are they sufficiently equipped to keeping their fingers on the pulse? 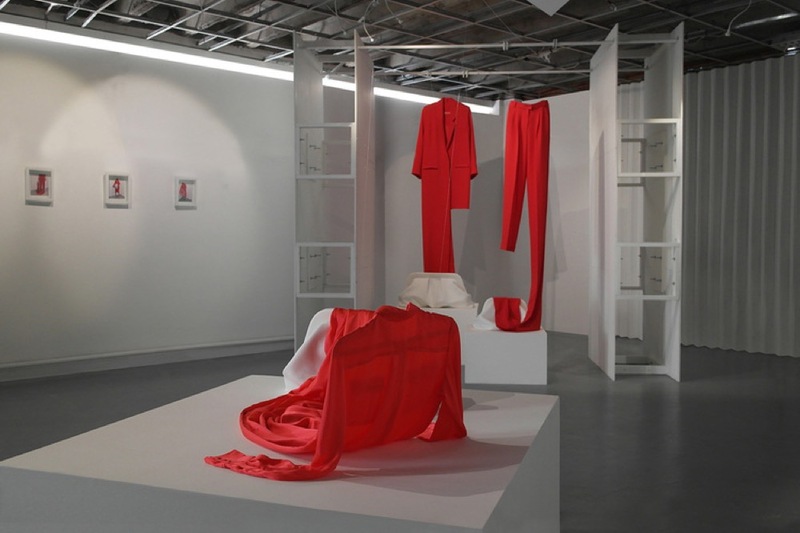 For both the National College of Art and Design, holding court in the capital, and the Limerick School of Art and Design (officially operating under the Limerick Institute of Technology), their respective philosophies view fashion as far more than the sum of its parts. Whether students enter first year at pains to specialise in their discipline as early as possible, or with a more malleable mindset as to what medium they’ll ultimately embrace, both institutions frame their first semesters as an ideal point to encourage creative cross-pollination. Such a stance is a breath of fresh air for the Irish industry, considering our relative lack of multi-disciplinary collaborations until recent overtures by Helen Steele, Jill & Gill and several others. 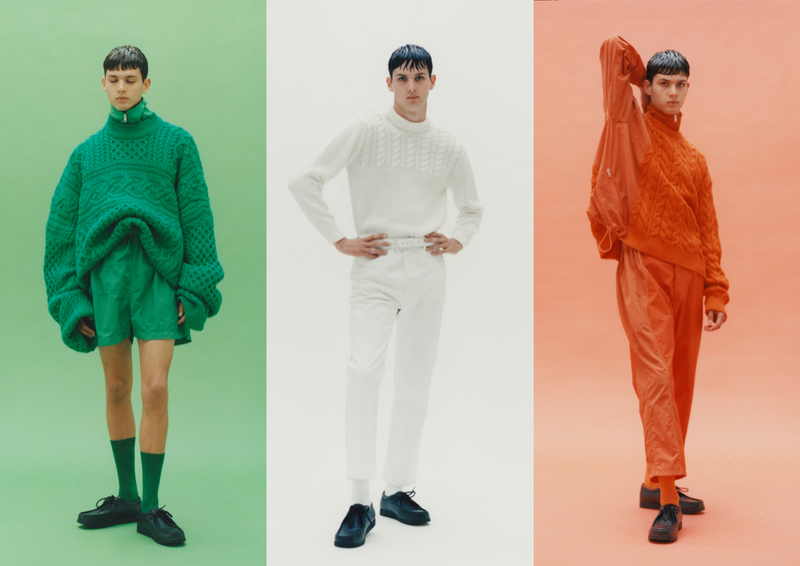 Any falsely-entrenched, archaic thought processes as to fashion’s significance in Ireland (such as whether or not it can be truly considered an art form) are thus dismantled: one is hard pushed to find a cultural facet it hasn’t permeated. Since international surveys of fashion schools were ramped up in recent years, headlines of this genre have been cropping up across the Internet – “Is Fashion Education Selling a False Dream?”. This precise title was published by aforementioned fashion watchdog/whistle-blower BOF, unpacking the feedback it had procured from students whilst examining the world’s premium fashion colleges. “Widespread reports of dissatisfaction” dogged even the highest echelon of schools, with numerous students allegedly feeling ill-equipped to navigate the industry-at-large after exiting their undergraduate studies. Of course disillusionment will occur, to some degree, in any third-level institution – for a variety of reasons, many of which don’t necessary point to structural problems. But when a number of soon-to-be-alumni voice their individual and collective concerns, surely it’s time for their schools to sit up and take notice? For NCAD and LSAD alike, the proof of the pudding is in the eating, or showcasing; their respective fashion-alumni chains are pedigreed to a staggering degree. The former first nurtured the likes of Simone Rocha (surely the most sought-after figure in London fashion right now), Philip Treacy (whose star-studded patrons are too considerable to count), and Robyn Lynch (mentioned overleaf as the latest inclusion to the acclaimed Fashion East collective). The latter college gave rise to Michael Stewart, who secured a €15,000 bursary from Kildare Village to complete an MA at London’s Royal College of Art (the current recipient, Andrew Bell, is a boundary-bending designer originally hailing from NCAD), Colin Horgan, a fellow RCA alumnus whose liquid-style trousers were worn by Lady Gaga to the Toronto International Film Festival, and Joanne Hynes, a Renaissance Woman whose pieces have graced London Fashion Week catwalks on myriad occasions. One could argue that these individuals would have succeeded with or without their fashion school’s tutelage – as Melinn acknowledges, “the seed is in [creatives]” from birth – but getting to grips with the discipline of design (time management and tricky deadlines included) is imperative to both colleges, and is a harder and, crucially, lonelier skill-set to develop alone when at undergraduate age. There’s no doubt that LSAD and NCAD are far from settled in their current syllabus. Melinn affirms that “every day is a new day for us – in many ways the students direct us as much as we direct them, and we listen”. The two institutions have embraced the wider industry’s ongoing dialogues on gender and sustainable design, taking their cues from classroom discussions to develop their course further [it’s worth noting that these discussions could only take place if students felt sufficiently comfortable, and valued, to start them: having spent part of my undergraduate time in a shockingly narrow-minded (yet surprisingly high-ranked) Italian fashion school, I can vouch that atmosphere is everything]. Both establishments have also looked to the imminent demise of the catwalk show in favour of fashion film, a similar route taken by Demna Gvasalia of Vetements in 2017 to “[no longer] show in the classical system … it’s become repetitive and exhausting” as he iterated to American Vogue. “We keep on the cusp of where we should,” says Melinn, whose 2018 graduate film was produced as part of LSAD’s Unwrap, an inaugural festival of fashion staged over two days last June. O’Kelly praises the “immediate international accessibility” of producing a film, making the work of students all the more portable – “It is definitely more feasible for our graduates to enter the Irish and international fashion industry aided with their video presentation and static show. We moved away from a traditional catwalk show in 2017 with this in mind … a lot of our graduates have received job offers internationally as a result”. Neither LSAD nor NCAD are stationed in long-standing fashion capitals, but their technological savoir-faire and outward-looking lens only look to expand with each passing year. It’s almost amusing to think that LSAD, given its geographical standing, could ever feel at risk of “being out of the loop” – it remains the sole Irish fashion school to showcase at London’s Graduate Fashion Week, alongside favourable commentary from Vogue Italia (Condé Nast’s true champion of emerging designers) each graduate season. “It’s so important that you’re comparing yourself to worldwide benchmarking”, says Melinn, whose department has welcomed industry heavyweights (like Sarah Mower) and rising stars (such as Richard Malone) for discussion. NCAD’s +Studio year has seen third-year students dive into work placements and industry internships abroad, with a similar set-up facilitated in LSAD: collectively, their budding designers have trained with Proenza Schouler, Marc Jacobs, Ellery et al, their paths stretching from Oceania to North America. With these emerging voices and established mentors joining forces – their mentality more internationally-focused than ever – there’s no telling what somersaulting heights our design-education sector will ultimately reach.